Every designer, really anyone, but especially designers, need things to help keep them organized and on task. 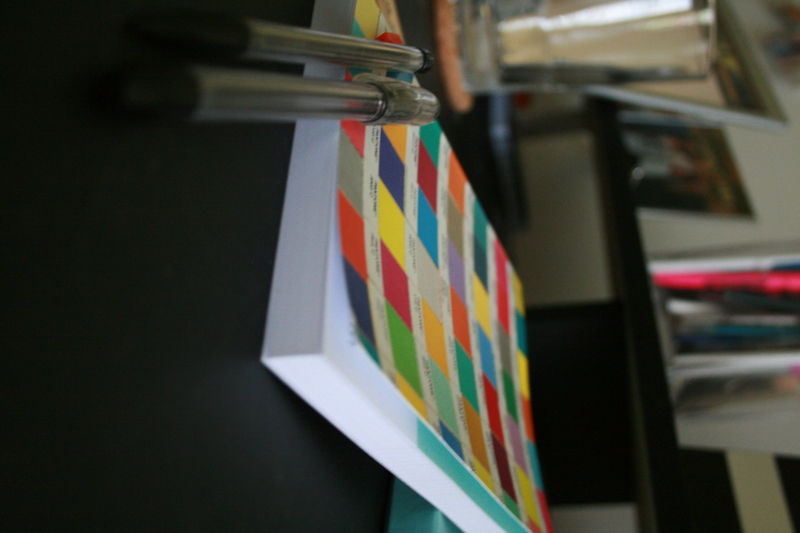 My pet productivity tool has and may always be the notebook (NO not the movie, I hate that movie.) There are so many varieties and designs when it comes to notebooks that it’s hard to pick one that is absolutely my favorite. As a foreword, you should know what I like in a notebook. 1. A great cover design. This is what draws me to it initially, and makes me pick it p off the shelf. I weigh how much I like along with what I think people will think of me if I pull it out at a client meeting, or at the coffee shop, and then give it a rating in my head. 2. Good width and height. I want something that is going to fit in my purse, but also give me enough space to doodle, write notes, jot down work times and pricing/billing details, and fit in any swatches of papers or colors or other inspirational bits. 3. The right thickness. If it’s a monster tome that I would need a backpack to carry around it’s not gonna work. If it’s so skinny I’d use it up in a week it’s not gonna work. Ideally I want something that has enough paper in it to last me a few months, and maybe the year if it’s rated well in some of the other categories. 5. Elastic keep-it-closed strap or magnetic fold-over closure. Anything I’m going to throw in my purse is going to get jostled a bit. This means having a way to keep it closed is essential. Because who wants crumpled corners and accordion pages? I find that the elastic usually works best if it is the looped kind that just stretches over a post in the front cover. I think it’s because it runs perpendicular to the pages, thereby guarding them from hitchhikers, or gum wrappers, stray bobby pins, stick pens, and other things that threaten to ruin my pages. However, the magnetic closure that folds over all the pages is the king of page protection. Those are the top five features I look for. However, different purposes call for different priorities. 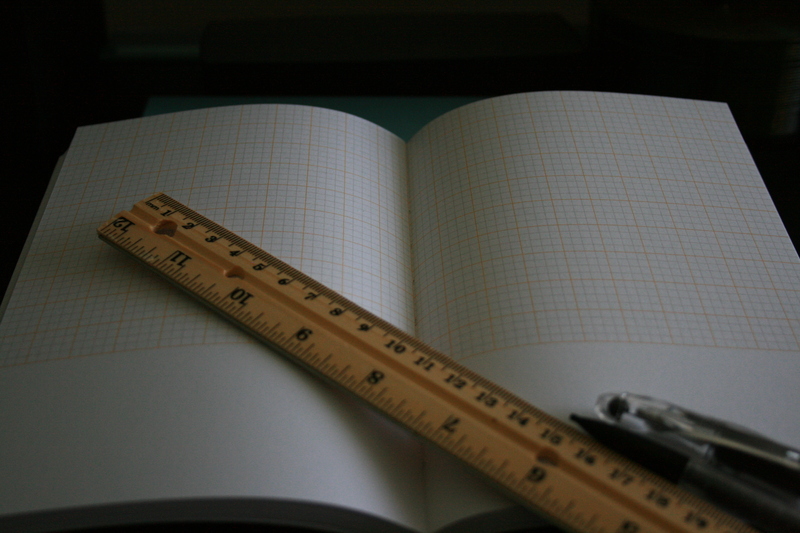 For example, my latest notebook purchase was specifically geared toward being able to divide pages evenly, take notes, and make some sort of coherent grid system for pricing/tracking my time. This meant graph paper pages were a must, and some space for notes nearby, either alternating paper types or note space on the same page, was a top priority. What I found was great. It lacks some of my preferences, but all in all it was such a good find that I bought two, for when I use this one up. 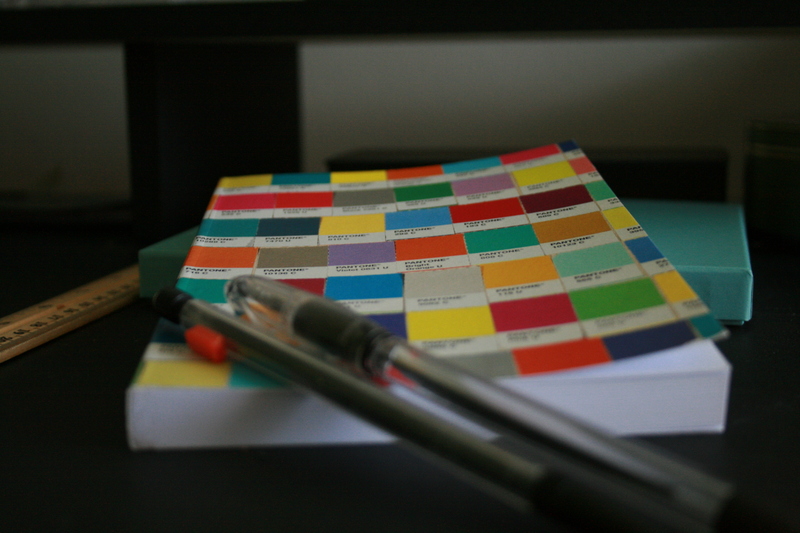 Here’s my new note book 🙂 It’s got pantone swatches on the cover! Love the graph paper and note space! 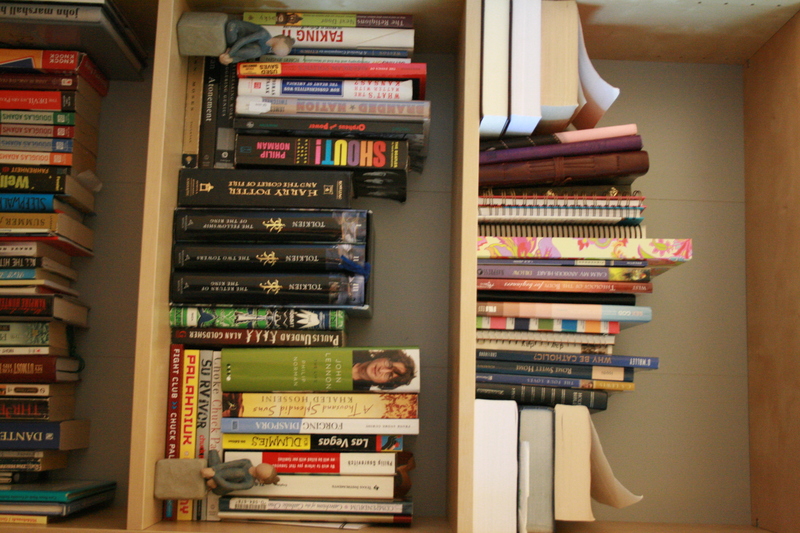 This isn’t all of them, but you can see that top shelf is mostly notebooks. I pretty much get all of my journals and such at Barnes & Noble, cause they always have a good selection, and they carry a lot of Chronicle Books products, which a lot of my journals happen to be. In closing, find something that keeps you inspired and productive, it’ll make you feel better!